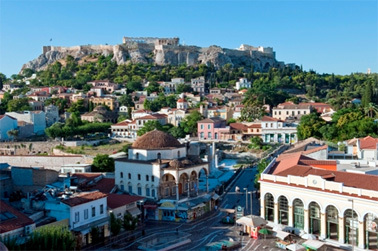 Our today's article is about the best hotels in Athens and about equal ones among the first ones. 1. Hilton Athens. This hotel from Hilton Hotels & Resorts family does not need a special introduction. Main feature of luxurious Hilton hotels is ergonomic design and a wealth of numbers, disguised asceticism, two dozen meeting rooms and cutting-edge recreational areas, bars and restaurants. In addition to the feature characteristic of the entire network, Hilton Athens has some of its own: The hotel is famous both for its restaurants with a huge choice of Greek dishes, local cheeses and fruit, and the postcard views of the Acropolis and Lycabettus Hill views from most rooms. 2. Divani Caravel Hotel is a five-star hotel from Greek hotel family named Divani Collection, focused on foreign tourists. For example, the menu of the hotel restaurant has only a few Greek dishes, and extremely luxurious furnishings of the rooms resemble oriental interiors of palaces. But the ballroom "Olympia" can accommodate up to a thousand people at a time. In addition, the hotel provides 16 meeting rooms for the organization of meetings at various levels. Many rooms at Divani Caravel Hotel overlook the Acropolis and Lycabettus, but for a better view it is worth to climb the roof, where there is an open observation deck, and a luxurious outdoor swimming pool. 3. Athens Hotel Grande Bretagne is one of the business cards of Greek hospitality and luxury in one bouquet. Located in the heart of Athens - Syntagma Square right outside - the hotel is worth to look at it more closely, even out of idle curiosity. Hotel Grande Bretagne was built in 1872, when a hotel of this level was still something out of science fiction. Since then, the design was modernized several times. Perhaps the only thing that remains unchanged is a rich wine cellar, where you can enjoy the best brands of wine from the exclusive collection of Grande Bretagne. Its restaurants and cafés, including the famous award-winning Première, are decorated with originals paintings by contemporary Greek artists. The menu mostly includes the dishes of Greek and French cuisine. 4. 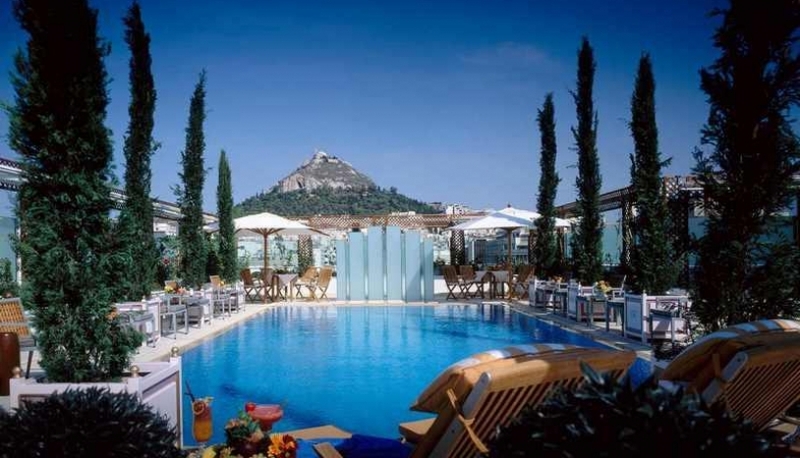 Another hotel in Athens, which is considered one of the best in the Greek capital, is King George Palace. Built in 1930, it is adjacent to the Hotel Grande Bretagne and overlooks the main square of the country - Syntagma. From the windows overlooking the area, as well as from the roof you can enjoy the beautiful views of the Acropolis, which looks particularly impressive in light of the night illumination. The rooms have strict classical interiors, where stucco ceiling is in harmony with huge mirrored panels, and furniture is equipped with modern technology. The rich and titled aristocrats love to stay here from time to time, turning the apartments in King George Palace to their place of residence.